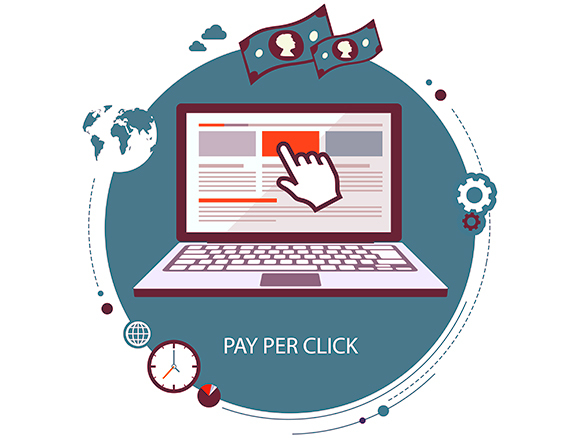 Our Pay Per Click Advertising process helps you drive more and better qualified online visitors to your website through ad placements in search results and on thousands of websites. We can drive large amounts of highly qualified traffic to your website in a short amount of time. As an integral part of a Digital Marketing program, PPC has become a very saturated environment, and requires extensive ongoing research, management and optimization to take advantage of the opportunities available to your brand. Digitally Savvy can provide you with a custom, effective PPC strategy that will provide your brand with a steady inflow of potential customers interested in your products or services. Every project begins with in-depth keyword research process, an analysis of your current PPC campaign and an in-depth look at your competitors’ PPC activities. This high-level analysis will allow us to identify campaign optimization opportunities or the creation of a new campaign if one is not already in place. We will establish a plan of action for both short and long-term growth, and establish a cohesive plan to drive more leads and sales for your brand. Studying the user’s behaviour when engaging with the PPC ads and your website, we’ll be able to adjust your campaigns on the go by, which taking into consideration your audience’s location, time of day, general online purchase behaviour, etc.. We can pinpoint where in the buying cycle the users are, and how to target them based on their intent. PPC campaigns should not be automated, as this can create a lot of inefficiencies. Through extensive keyword research and testing, we optimize your existing or newly created campaigns on an on-going basis. Whether you are looking to optimize for cost per acquisition, sales volume or simply inexpensive but relevant traffic, Digitally Savvy’s PPC programs will meet your needs whether you’re most interested in boosting your brand’s awareness or driving more online sales. Using industry-leading software, we will keep close track of your PPC campaigns’ performance. We will measure the decrease in bounce rates, as well as the increases in quality scores or conversion rates. Depending on your goals and objectives, we will personalize the right reports for you vs. the rest of your team. Working in real time, we optimize on an ongoing basis. The market is not static, so your PPC campaign should’y be static either be. Spend Less and Perform Better in Paid Search.